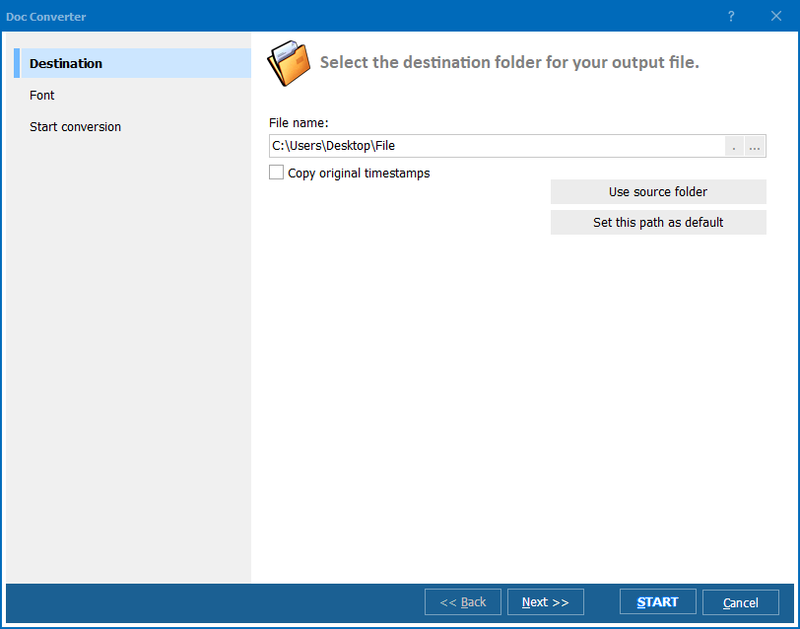 Export RTF to Unicode Text with CoolUtils tool! 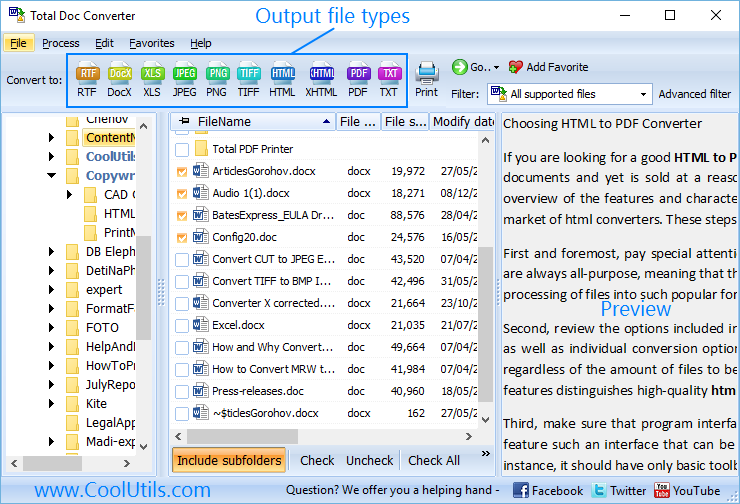 You are here: CoolUtils > Total Doc Converter > Export RTF to Unicode Text with CoolUtils tool! DocX is a file format used by Microsoft Office Word 2007 and newer. 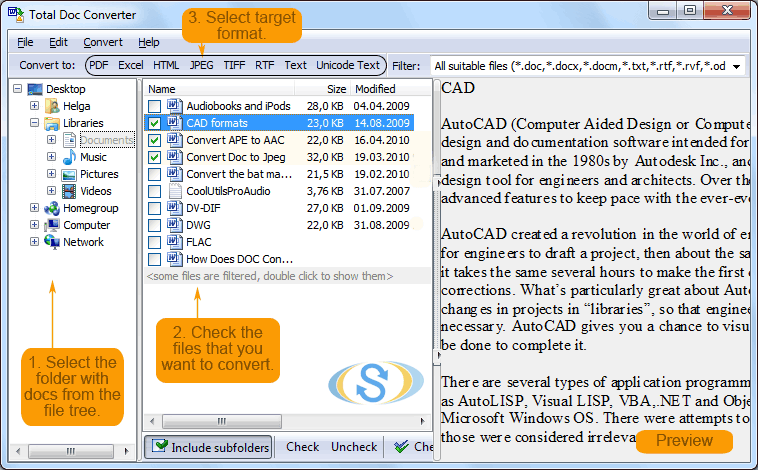 Documents saved in DocX format can contain text, images, formatting, styles, drawn objects, and other document settings. 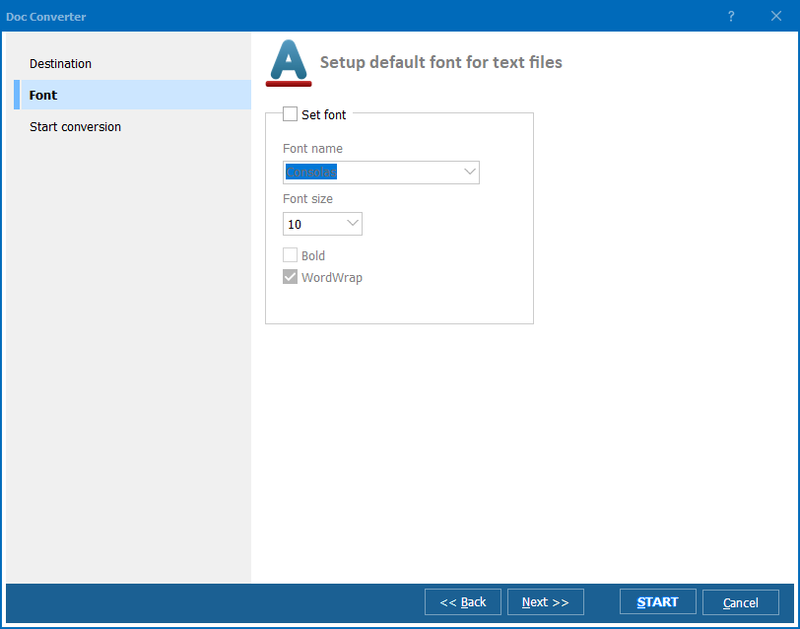 Unlike DOC files, used by earlier versions of MS Office Word, which store document data in a single binary file, DocX files are created using the Open XML format, which stores documents as a collection of separate files and folders. Of course, DocX is great when it comes to storing formatted text. However, in certain cases it is important to have smaller text files that are easier to share over the Internet. This is when it becomes crucial to export DocX to Unicode text. When it comes to Word 2007, unicode is supported by default. But this is not true for TXT format; you need to specify the Unicode formatting manually. The best way to properly and yet easily export DocX to text is use a special tool, Unicode text converter. export DocX files in batch thanks to batch conversion mode and much more! 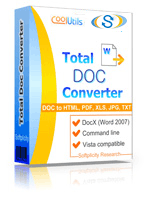 Download your free trial version of Total Doc Converter or buy the program for just under $50!